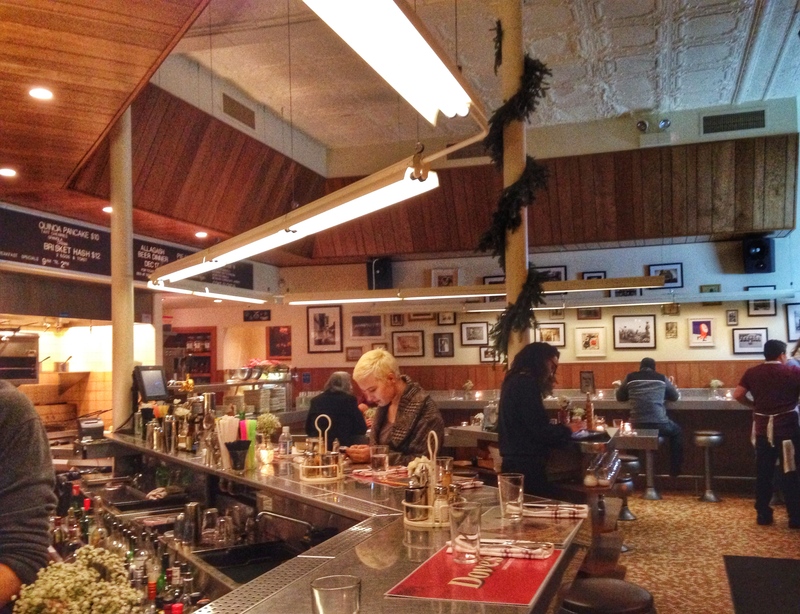 Counter seating, record player spinning some soul, and comfort food give Dove’s Luncheonette a real diner feel with welcome additions like a tequila menu. Are you tired of fried chicken yet? If you are this one will have you rethinking your stance. 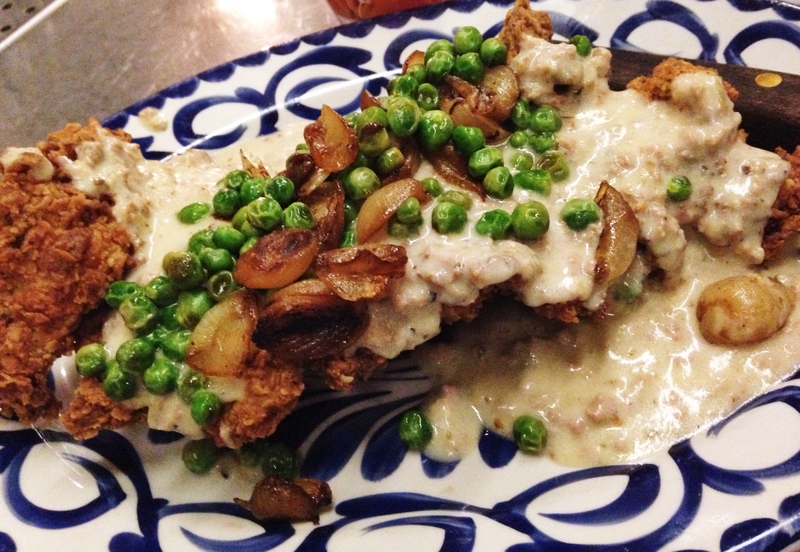 Chicken Fried Chicken: Buttermilk fried chicken smothered in chorizo verde gravy with sweet peas and pearl onions. So good you won’t want to share. I was in need of something to warm me up when the temps dropped last Tuesday and the Pozole Rojo hit the spot. Rich broth that is simmered for hours and crunchy fixings create a bowl of deliciousness. Pozole Rojo: Braised pork shoulder in guajillo chile broth with hominy, avocado, lime, cabbage, cilantro, radish and crispy tortillas. 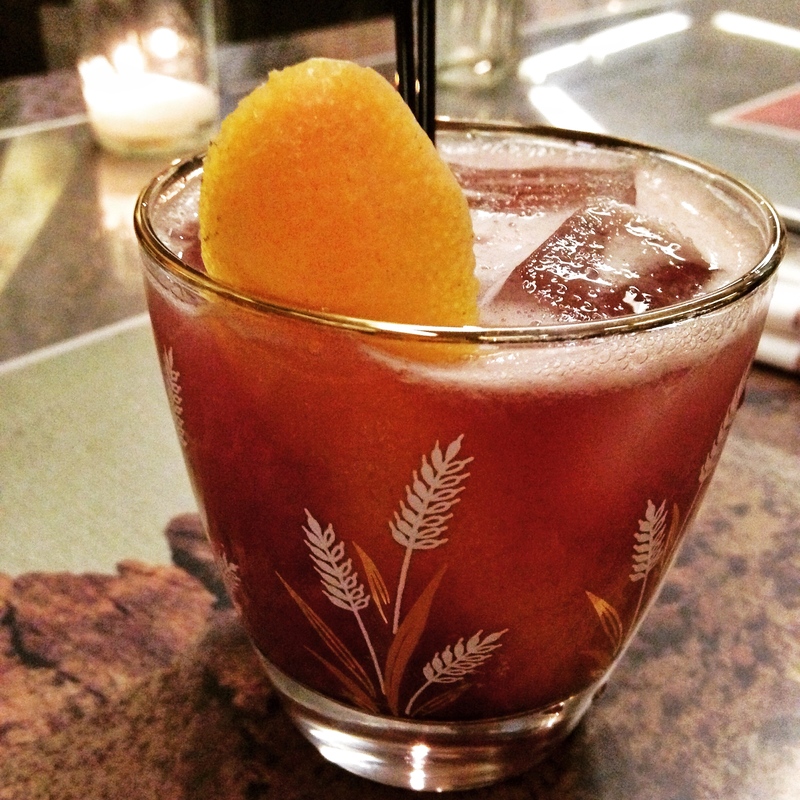 The tequila cobbler special of the day was heavenly with blueberries, honey, ginger, vermouth and reposado tequila. ¡Salud!